The renown how-to book, “Tying With Kreinik Materials,” has just been reprinted, revised and updated with new patterns, color photos, and expert tips showing how Kreinik materials are used in fly tying. The new edition automatically comes in the Kreinik fly tying starter kit, which has been our #1 top-selling kit for more than 15 years. This great gift item now has the latest innovations in fly fishing fibers, materials, and patterns. 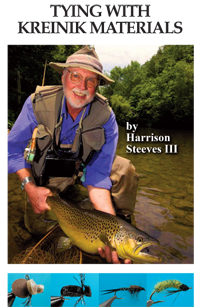 Written by Harrison Steeves III, a well-known fly fishing enthusiast and writer from Virginia, the book includes sections written by other notables Ed Koch, Rick Whorwood, and Bob Wildgren. All four have hands-on experience in catching some of their biggest fish with Kreinik materials. Second edition. 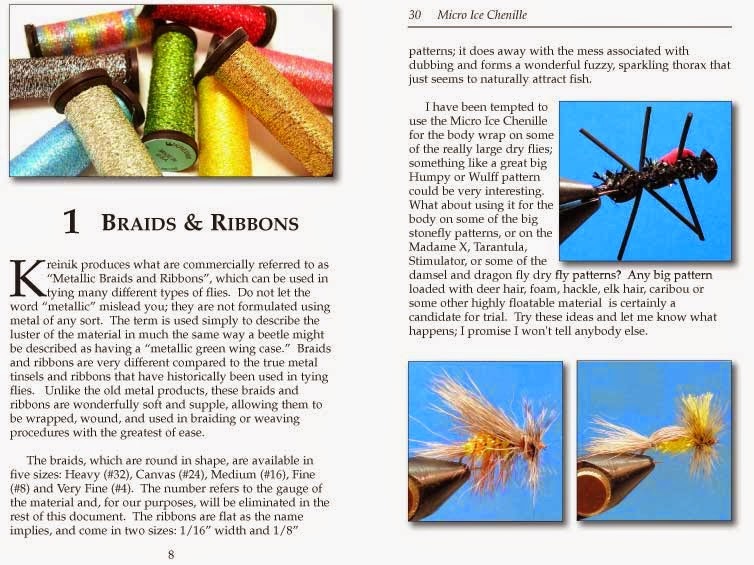 Tying with Kreinik Materials is a 5.5" X 8.5" soft-covered book; 56 pages. We just returned from The National Needlearts Association (TNNA) summer tradeshow in Indanapolis, Indiana. This is a wholesale market where retailers, professional designers, teachers, manufacturers, publishers and other licensed needlework companies come to see new products and buy items for their businesses. Vendors cover knitting, crochet, spinning, weaving, needlepoint, and counted thread. In a nutshell, this means that good things are coming to stores near you very soon. 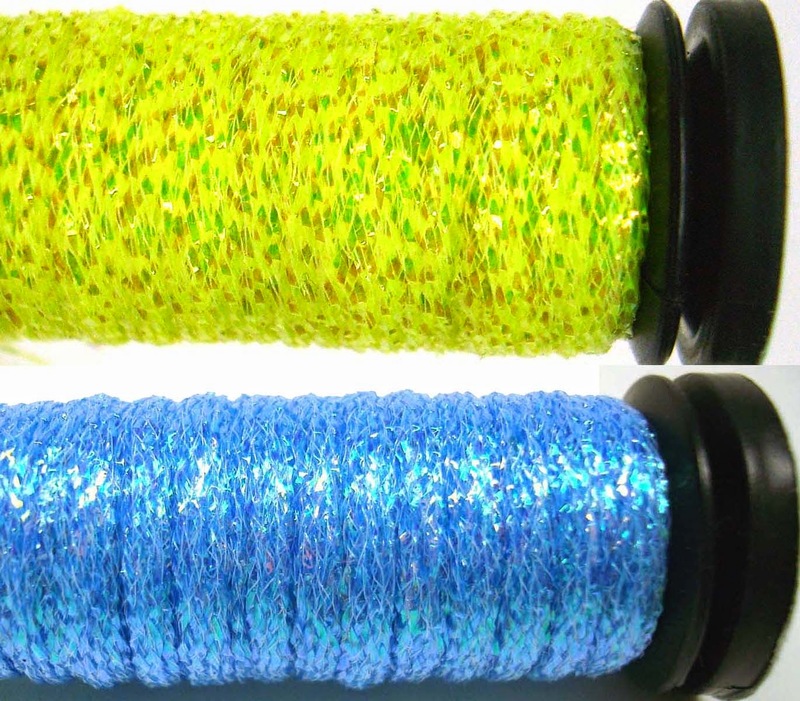 We are excited to announce that Kreinik released six new colors in our 1/16" Ribbon size at the show. This particular thread is popular for needlepoint on 18-mesh canvas, as stitchers like the coverage achieved from a flat thread. It is also used for crazy quilting and surface embroidery. It's a tiny little ribbon with sparkle, so you can imagine the creative possibilities. It is soft and works in just about any stitch. Batches of the new colors in 1/16" Ribbon are being made, coned, spooled and labeled for shipments to shops, so look for them in stores starting now. 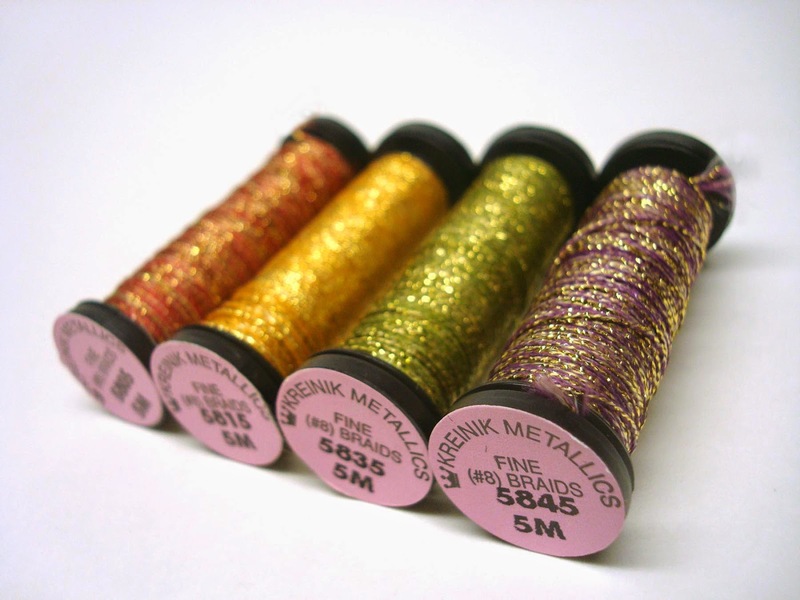 Visit www.kreinik.com for more information and a Store Locator.